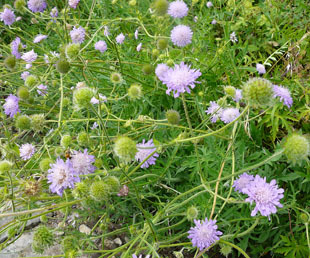 It is sometimes planted in the wild flower sections of churchyards. 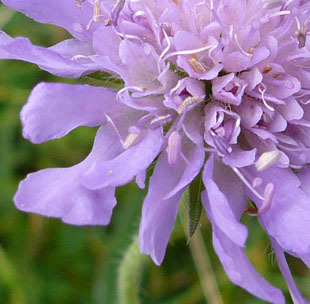 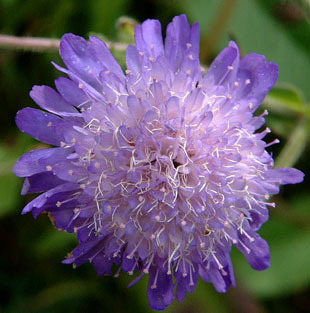 Field Scabious is a native, perennial herb, growing up to 1m. 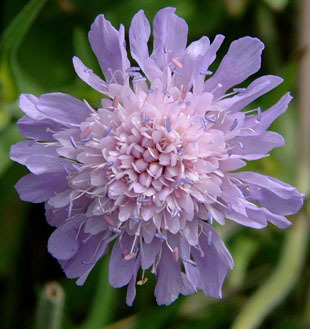 Flowerheads are attractive, lilac, flattish and up to 3 cm across. 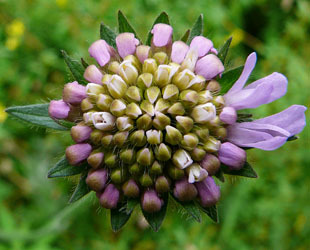 Indivdual florets have 4 joined petals. 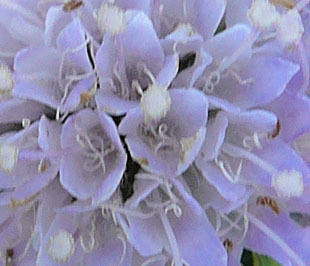 Flowers are protandrous (stamens before styles). 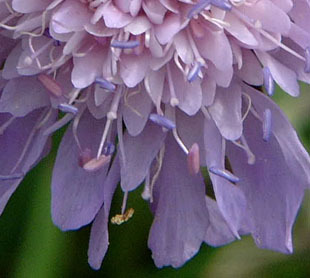 There are 2-4 stamens per floret with pink or blue anthers. 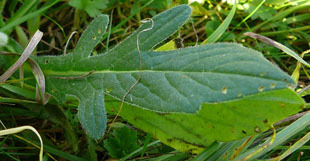 Styles are white and slender with simple or 2-lobed stigmas. 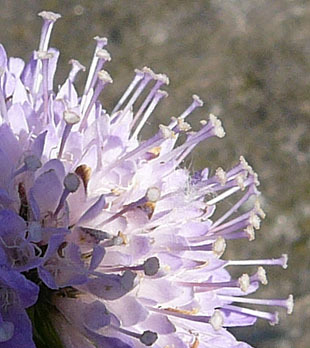 The older florets show the remains of the stamens (picture 7). 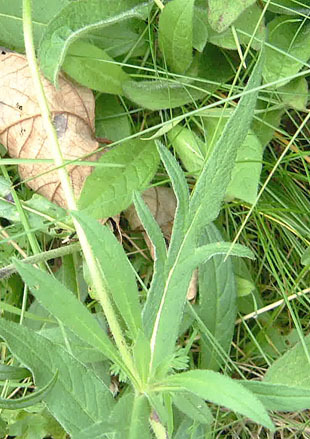 Leaves are lanceolate and variously lobed.